Originally published January 5, 2018, updated October 22, 2018. WiFi has evolved beyond a basic level utility to a guest-pleasing amenity that can differentiate a property and drive positive reviews. Beyond the basics of providing fast, reliable WiFi, these 5 trends give hotel operators insight on how to ensure a great guest experience and optimize the value of your communications network. According to a study by JD Power, the three most important amenities cited by guests are free Wi-Fi, breakfast and parking. 71% of guests say they received complimentary Wi-Fi. And they don’t want to sign up for the hotel loyalty program to get it. If you don’t meet guest expectations to provide strong, reliable WiFi without hurdles, you’ll see it in your guest satisfaction score! Named 1 of 5 life changing IoT technologies, voice-driven IoT is redefining hotel technology, such as Cloud5 partner Volara’s breakthrough guest engagement software. Operating on inexpensive consumer devices such as the Amazon Echo or Google Home, voice-response software can be customized to meet the unique needs of hotel operators and their guests, using artificial intelligence to address up to 30% of inquiries. The result – a higher level guest experience and lower labor costs for guest service. In general, guest room bandwidth consumption is driven by two key factors — the number of guest devices per room (ranging from 2 to 6 based on the number of guests in the room) and the applications those devices are using, such as email, browsing, streaming, video chat, gaming). Make sure you understand your dynamic guest profile and what bandwidth/service level they need to stay happy. Look for solutions that deliver an integrated approach across your wired, wireless and guestroom entertainment needs. A communications expert that understands evolving consumer needs and the latest technologies, such as Cloud5, can design and implement a one-stop solution that’s efficient, high performance, and future-proofs your investment in guest room technology. Cloud5 Communications is hospitality’s #1 communications technology and services platform. 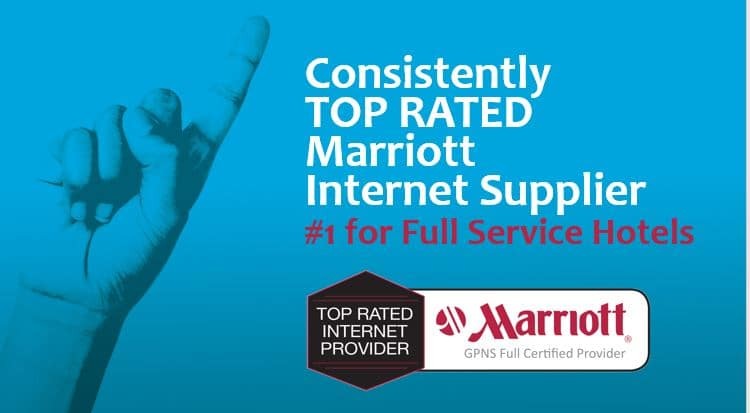 A pioneer in WiFi solutions for 15 years, we provide converged network solutions to leading hotel brands, management companies, independents, and conference centers. Contact us today to make 2019 your best year yet.